I have to admit, watching the weather forecasts over the past few weeks I was starting to think that airshows must just have a curse in place. It seems over the past couple of months we have seen wall to wall sunshine as we go through the weeks only for skies to darken as soon as Saturday morning comes around. 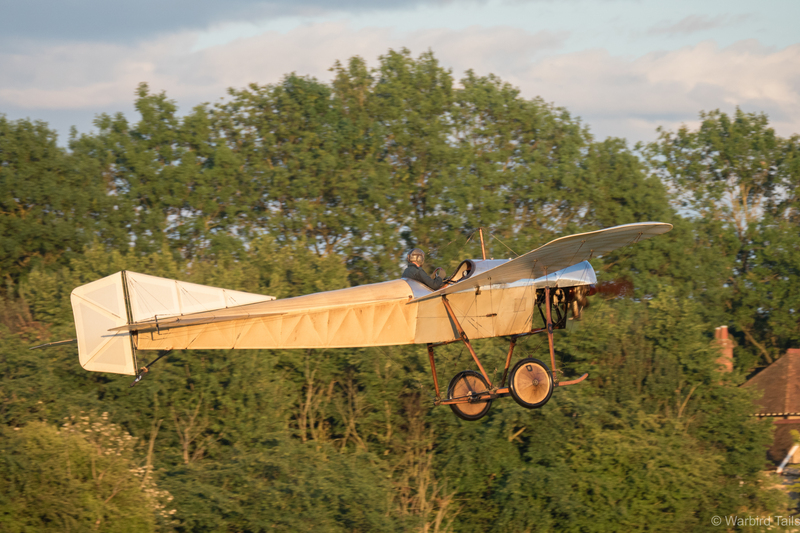 Sights like this in the evening light make Shuttleworth a magical experience. Things looked exactly the same Friday night as I checked the outlook for the Saturday evening show. The bonus of an evening show is that there is plenty of time for things to get better. As we kept hearing over the PA system as the show started, we just needed a bit of faith! That faith was certainly rewarded! 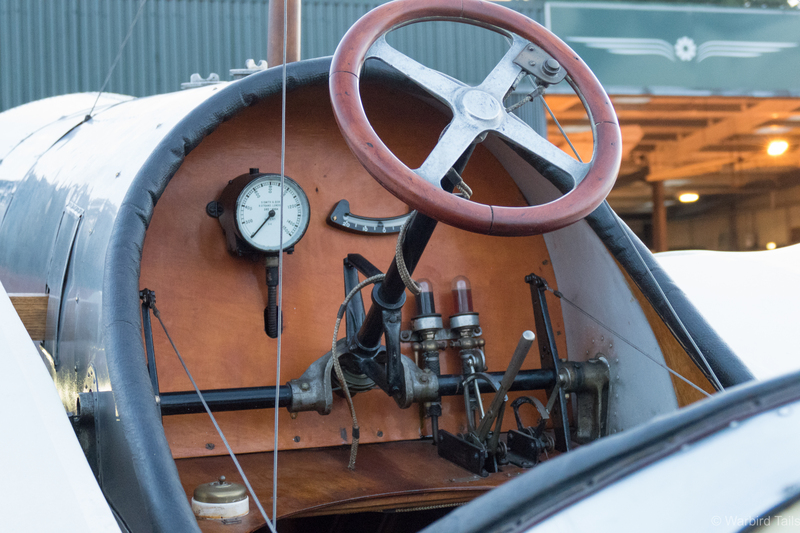 The central focus for the show was the Edwardian era, as a part of this there was also a nod to the 50th anniversary of the hit film “Those Magnificent Men In Their Flying Machines”, in which the collection’s Boxkite and Avro Triplane replicas had starring roles. 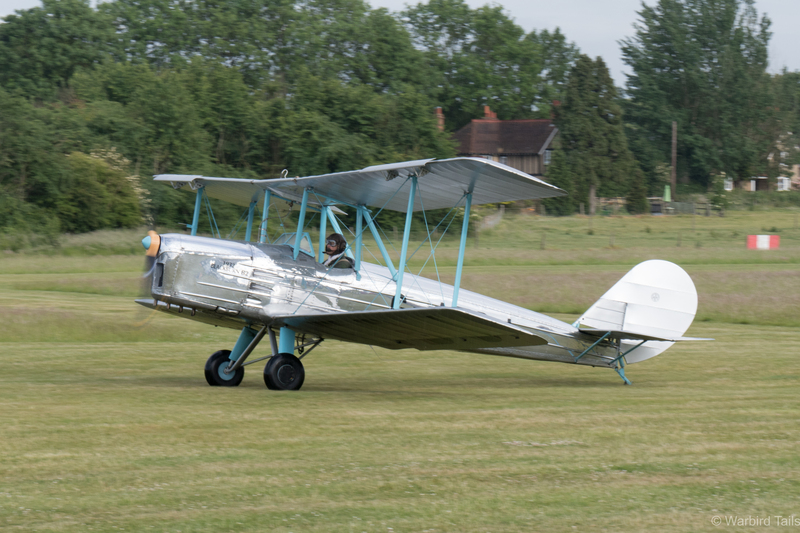 As is fast becoming a Shuttleworth tradition, they stuck to the theme wonderfully with the staff and the airfield all dressed up for the part. The Edwardian style funfair, with Helter Skelter and carousel, the latter of which provided distinctive music throughout the evening, made for a memorable spectacle and atmosphere. 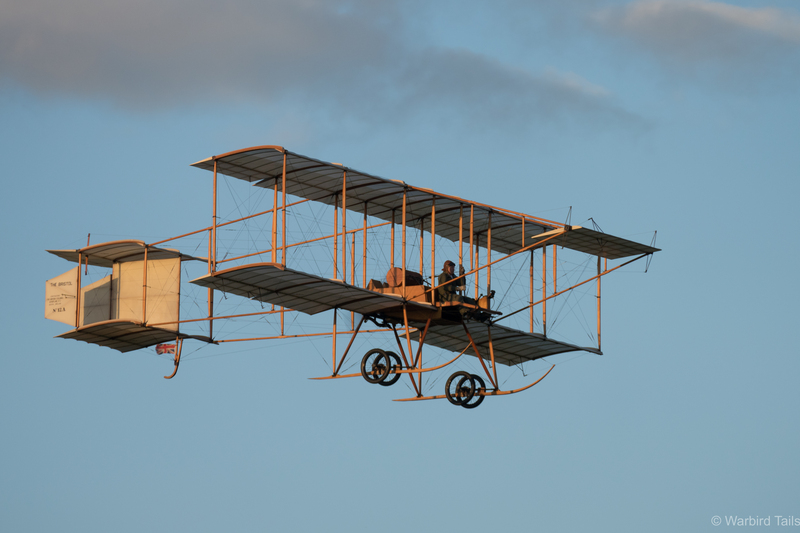 A show filled with solely Edwardian aircraft, while beautiful, would be rather short, even for an evening show. So the challenge came of representing the theme while still providing a full programme. This was managed incredibly well though, each of the aircraft added to the line up fitted perfectly with the Edwardian style. Rain and low clouds started to clear in the late afternoon, which allowed the ground crew to start moving all the aircraft out on to the flightline. While weather conditions had improved greatly , there was an unfortunate shower which sat over Old Warden for the first 40 minutes of the show, the wind had dropped to such a point that the weather was hardly moving over the airfield. None the less, the acts that did have to perform in this weather still put in great displays. Peter Holloway’s Jungmeister put in a flowing display. Peter Holloway’s Bucker Jungmeister kicked the show off with a classic display of tight, graceful aerobatics and close up passes. It has been great to see this aeroplane getting plenty of appearances since moving to Old Warden at the end of last year. The Bucker gave way to a very impressive display from the Lunak glider, which yet again performed a series of manoeuvres that I never thought possible in a glider, with numerous low level flick rolls and stall turns. The routine concluded with a breathtaking low level loop followed by a quick wingover to land. A pleasing follow up to the Lunak was a short display from the collections glider tug, Super Cub G-SVAS. The Rapide pair put in a very enjoyable sequence in less than ideal conditions. 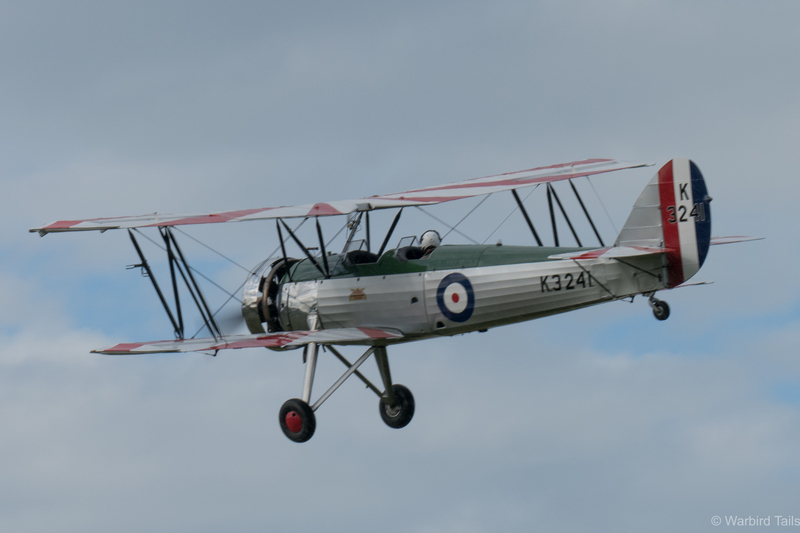 The only visitor which managed to make it to the show from the planned line up was David and Mark Miller’s Rapide from Duxford, which led the Old Warden based example around in a wonderfully graceful pairs display. 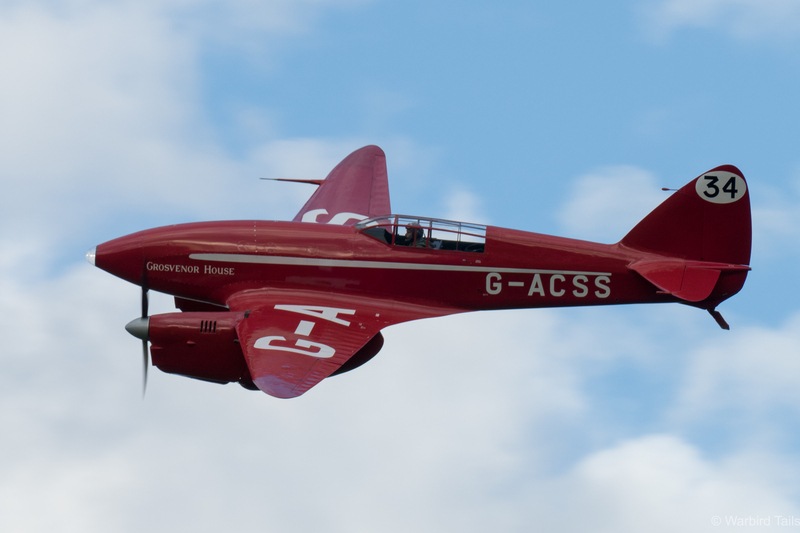 These de Havilland classics can often be overlooked due to their regular use for pleasure flights. It made a change to see the type getting a moment in the spotlight. 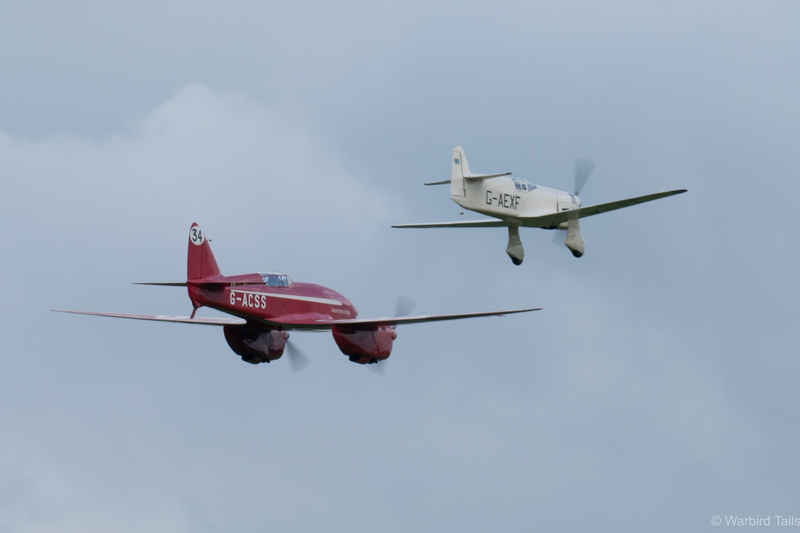 The pairs routine was followed by two solo displays, the Duxford based machine putting in a very punchy performance. The Avro Tutor always looks great in the sun, this show was no exception. Once the Rapides had cleared the sun finally started to break through the clouds, providing perfect light for an airshow. Making the most of this was a rare fourship display. 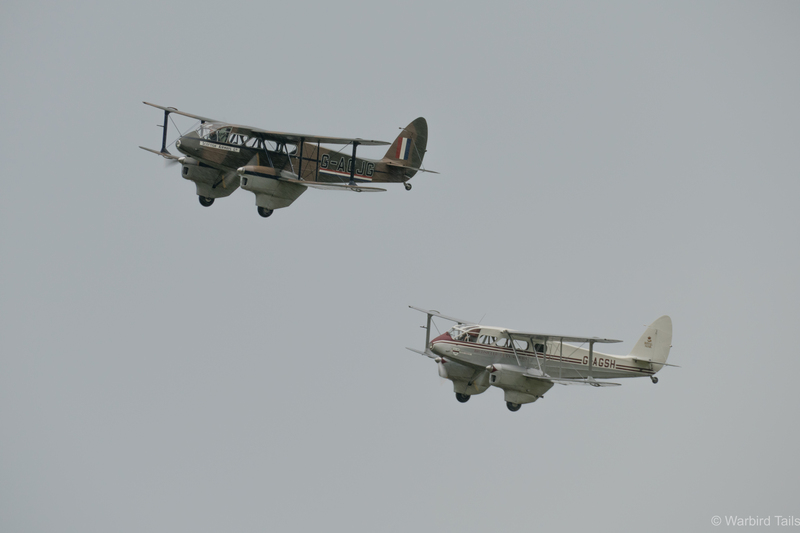 leading this formation was the Avro Tutor, accompanied by the Tiger Moth, Miles Magister and Blackburn B2. The Tutor especially looks superb in the evening light and is always a pleasure to watch, the B2 put in its usual polished aerobatic routine as well. The B2 recovers after its aerobatic performance. The show had most kinds of weather, even a rainbow! 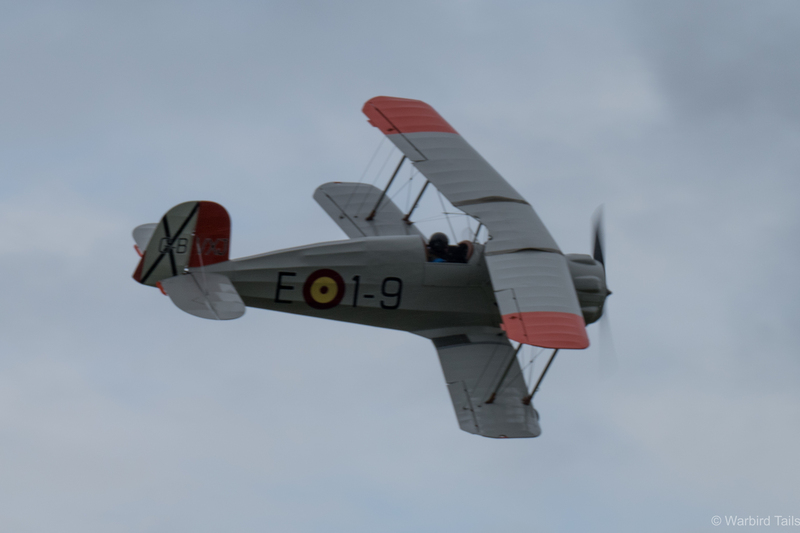 This Bi-plane theme continued on with the next segment which featured the collections two DH60 moths along with the Southern martlet. This three ship probably had the best weather of the evening, golden light combined with dark clouds as a backdrop and even a rainbow as a backdrop! 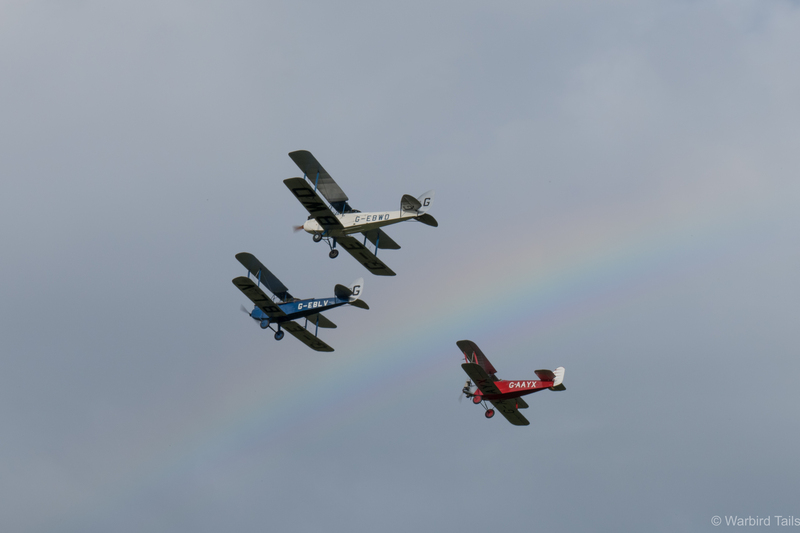 A wonderful environment for three aircraft not seen too often over Shuttleworth. Frank Chapman’s routine in the Tomtit was the stand out moment of the night. 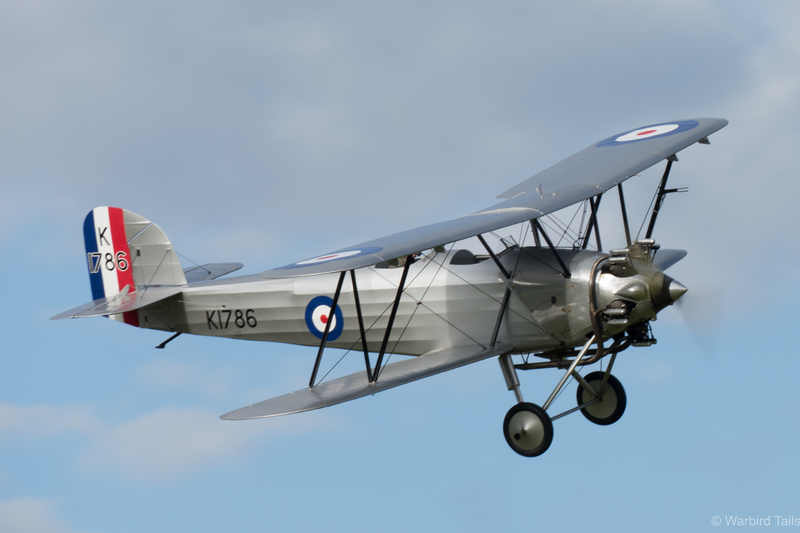 A surprising highlight was the Hawker Tomtit, a very historic aircraft as it is not only the last remaining example, but it was also once owned by legendary test pilots Alex Henshaw and Neville Duke. Collection pilot Frank Chapman put in a very sporty display, which certainly demanded your attention. Paul Stone leads Dodge Bailey in this 30s racers pair. Then the time came for the 1930s racers, always a pleasure. Dodge Bailey started this segment, getting airborne in the Mew Gull, before performing a fast circuit as Paul Stone got airborne in the Comet. The two record breakers performed in formation for a while before each aircraft performed a solo display. A high speed and growling display from the tiny Mew Gull and a graceful, purring performance from the Comet. Is there a finer looking aircraft? Following the racing action was the collection’s Piston Provost, which carried out some high level aerobatics before performing a few noisy low level passes. This was followed by a typically impressive display from Peter Holloway’s Storch, which demonstrated low speed handling and its near hovering appearance. All the more impressive given how much the wind had dropped. The Provost put in an enjoyable display. 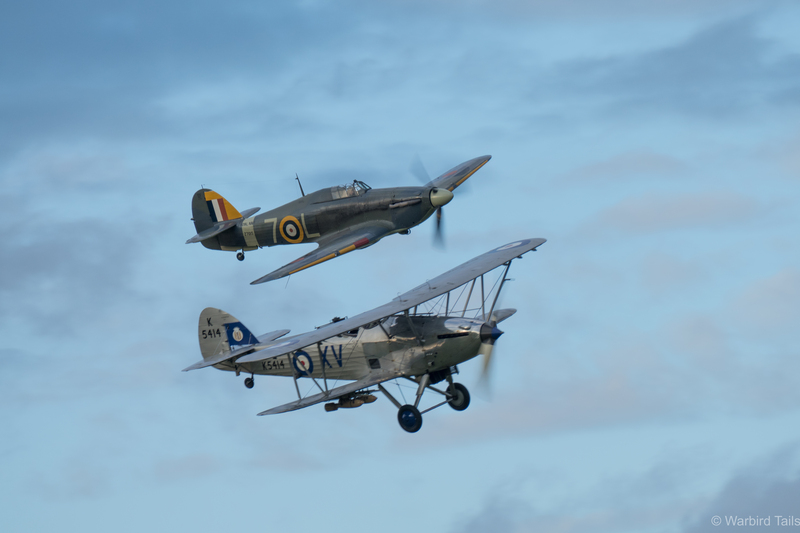 Bringing the main flying display to a close, in wonderful light, was the Hawker pair of Hind and Sea Hurricane. The combination of Kestrel and Merlin circling in the setting sun was fantastic, what a way to end an airshow! Typically energetic solo displays followed from each of the aircraft before they recovered to the field. The Hawker pair is always a pleasure, but in this light it was superb! 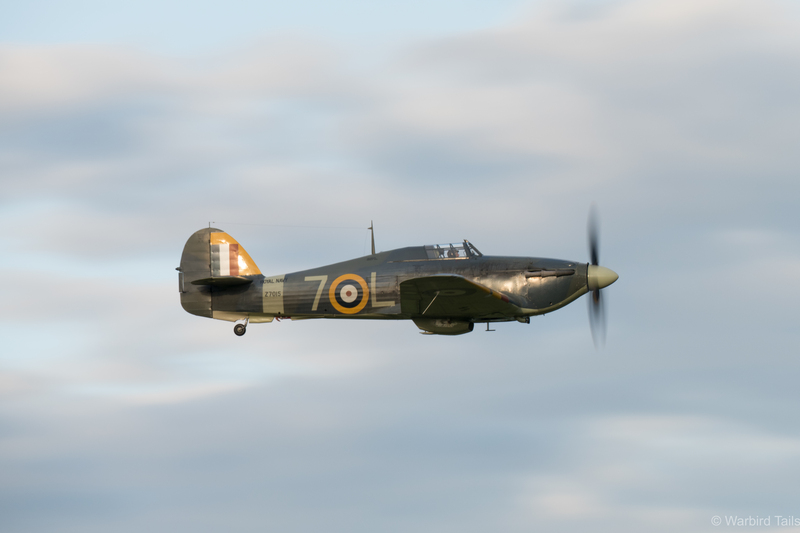 The Hurricane looked great against the evening sky. 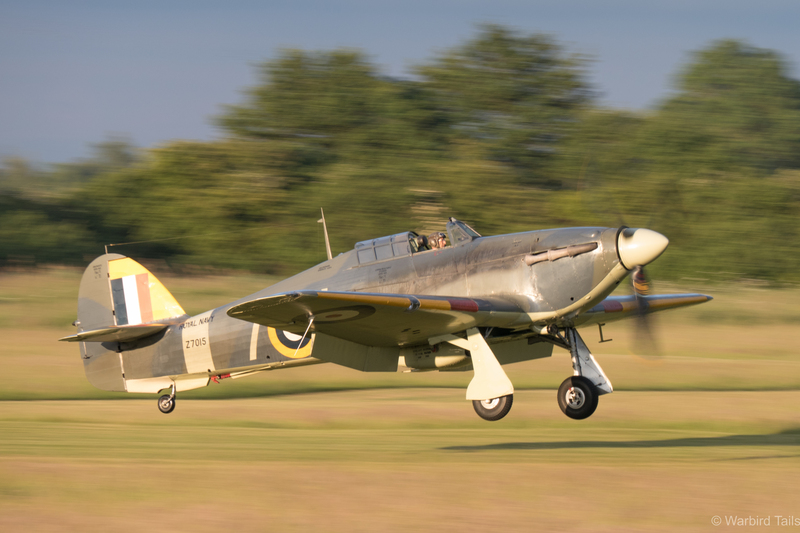 The Sea Hurricane coming in to land. As if that finale wasn’t fitting enough, the wind had dropped to such an extent that all the Edwardians were able to fly. 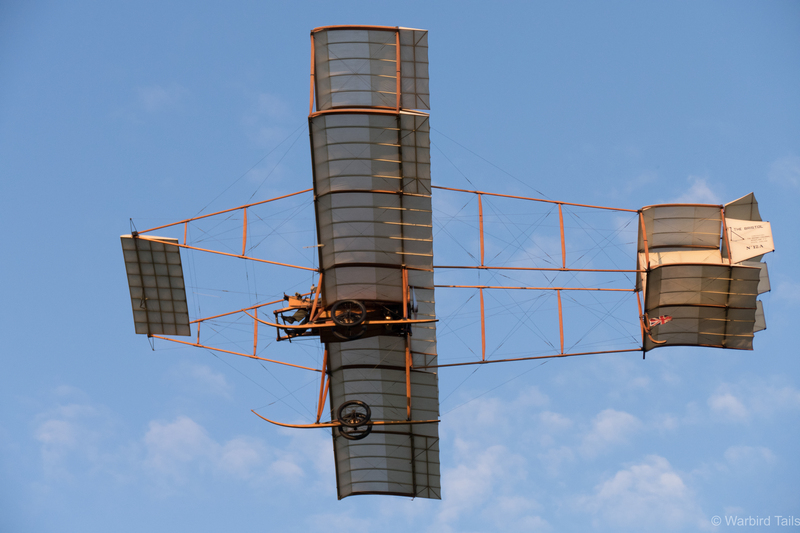 The first of these early machines to perform was the Bristol Boxkite, which seemed to take a bit more effort to get to height than we usually see, disappearing behind the trees at the end of the airfield as it made its turns, which made for quite an amusing sight as we jostled to spot it. With the Boxkite back on the ground, it was time for the Blackburn Monoplane to get airborne, I’ve waxed lyrical about this machine a number of times on this site and I never tire of watching it circle around above me. Almost more impressive was the turn around and taxi that the aircraft performed following its flight! It’s always a treat to see rotary powered aircraft running so close on the ground. Once again the Deperdussin put in a series of ever more impressive hops, gaining decent height on each. 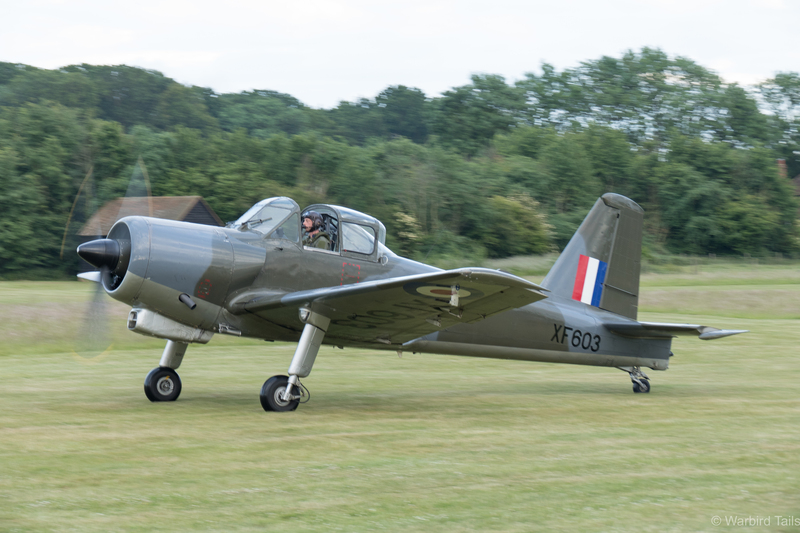 I’m sure I even caught a brief topside on the final run as the aircraft was turned slightly into the long grass to touch down, certainly never thought I’d see that. 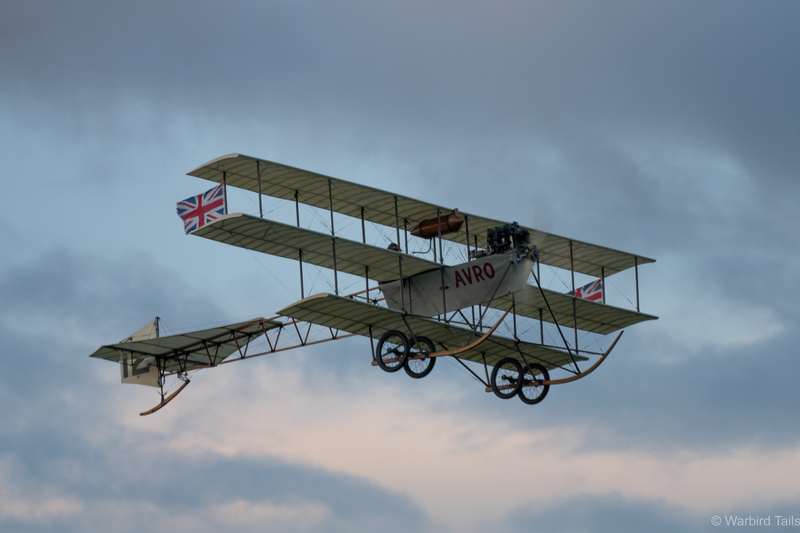 It was left to the Avro Triplane to finish things off with another extended routine in the dwindling light, as I recall the flying finally came to a close at 9:30! It was great not only to see extended segments from the Edwardians, but they all got their own slot, something not often seen and a real moment to cherish. While walking to the car I noted the Deperdussin and Blackburn sitting outside the hangar as the other aircraft were moved to accommodate. I used this opourtunity to take a look into the cockpits. Basic doesn’t come close to covering it! Once again the Shuttleworth team delivered a great show in difficult conditions, as the daytime weather must have been a concern. It was a shame that the planned First World War segment couldn’t go ahead, however the younger aircraft they chose to replace them more than made up for it. I made a promise to myself last year to make sure I visited Old Warden as much as possible in 2015, with the shows I’ve attended so far I’m very glad i’m keeping to that. 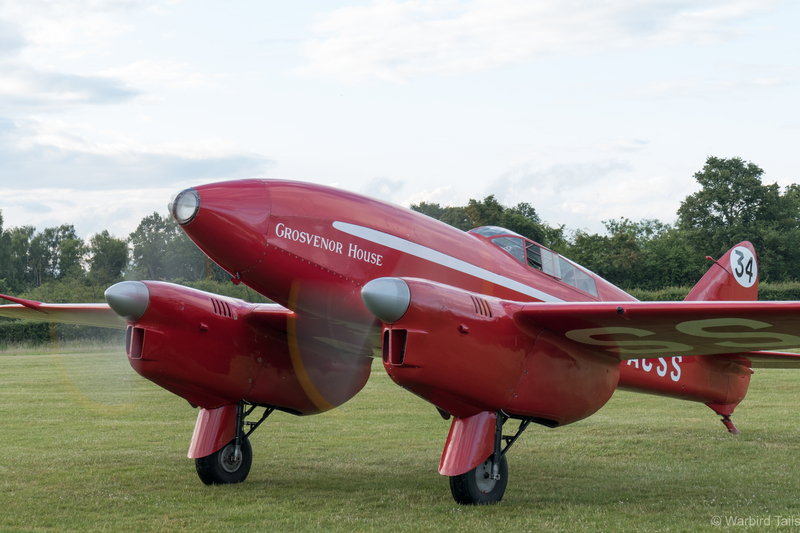 The next evening show at Shuttleworth is on the 18th July, with a Best Of British theme and looks set to be another great evening.